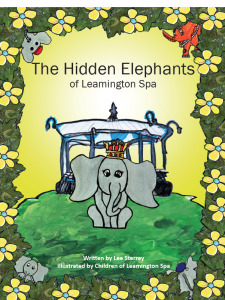 “The Hidden Elephants of Leamington Spa” will be launched at Art in the Park at Jephson Gardens, North Lodge (Leamington Spa) on 5th and 6th August 2017! 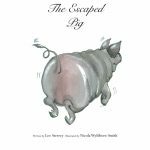 A limited number of copies will be available over the weekend, but copies can be purchased in advance from Amazon and I will sign them over the weekend if you wish! Come and meet me in person where I can tell you more about the project! Oh no an astroid is coming! Another project now coming to completion and launching shortly! 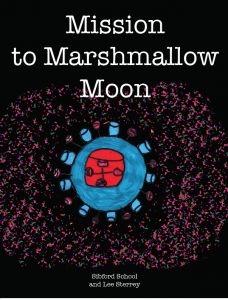 “Mission to Marshmallow Moon” comes from the creative minds of children from Sibford School. This story brings out the value of teamwork as the ‘JibbyJobians’ have to find a way to leave the planet. 95 children were involved from ages 3 to 11. Congratulations to the school and it was a pleasure being involved in this project! Author LeeSterreyPosted on March 1, 2017 Categories UncategorizedLeave a comment on Oh no an astroid is coming! I’m very honoured to be working in partnership with Warwick District Council and Bid Leamington on a community book about Leamington Spa’s elephants. I will be signing copies of The BookHob and my other books. As my biggest challenge comes to a close and will be released in just a few days time, I remember those early conversations with Judy from Kenilworth Books about them wishing to embark on a project. There was a lot I had to factor in; a bookshop, a hob, cakes, hedgehogs etc. At first I thought to weave a story that combined all of the elements would be near impossible. But then, I’ve pushed boundaries before and found that once you start to push past them, they are largely superficial. A lot of it comes down to hard work and a sheer determination to succeed. 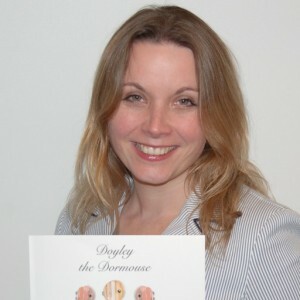 The BookHob, Plight of the Hedgehogs is a joint idea with Kenilworth Books to involve children from the surrounding areas to be part of a published story. Four schools and the general public were involved and 100’s of pieces of artwork were submitted. Along the journey, I met children whose dreams are to become illustrators and writers. I hope this helps them realise it is possible and not put up boundaries for themselves. For those whose artwork didn’t get in this time, don’t give up. More projects are coming. Today I spent the afternoon at Radford Semele school. I felt very honoured to be invited to open their brand new library and the school had asked me to do a short speech. Before the library, the school had dusty, tatty books on tiny shelves in each of the classrooms. There was never a full set in a series and books were missing pages and had scribbles on them. The school led by the efforts and passion of the assistant head, worked so hard to get the library they all dreamed about, doing research, visiting other schools, raising funds and doing all of the work themselves. They established a proper library with books that can be checked in and out with each child having their very own library card. This system was in a room with a light breezy atmosphere, with comfy, brightly coloured bean bags and sleek shelving packed full of all types of books that would delight every reader. Knowing that 200 children would crowd the hallways that surrounded the library entrance with a bright red ribbon waiting to be cut, I felt so inspired by the efforts of the school, the parents and the children, that instead of doing a short speech, I had written a poem, especially for them. It is called “In This Room” and is dedicated to the determination and the hard work of all of those who brought this vision to life. Congratulations to this wonderful school, for providing such a beautiful gift for our next generation of readers and writers. Today, just before cutting the ribbon in front of 200 cheering voices, I read the poem to them. In this room, gifts of fiction and fact await. From all types of writers; some small, some great. Browsing through the shelves, not sure which to choose. You look at the cover and read blurb for some clues. A book catches your eye, it promises something new. Could this be it? 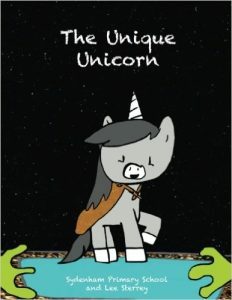 The special book for you. And transport you to a land of make-believe. The journey embraces you as the story is told. 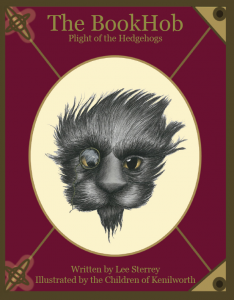 Involving brave mice, wizards and knights of old. Your imagination takes over and makes the fiction real. As you get to know the characters and how they feel. You turn page after page, in the need to know. And your love for this story is completely sealed. As a whole library awaits you, after book number one. Whether your next choice has a spaceship, dragon or broom. It all starts again, right here. Dedicated to Radford Semele and the opening of their library. With embarking on yet another mammoth project, this time with Kenilworth Books and multiple schools in Kenilworth, again come the sleepless nights, the constant ideas floating around in my head and the excitement of pulling together another huge masterpiece. I don’t think anyone fully understands the incredible amount of work involved in these creations, from the initial concept, scanning the hundreds of pieces of artwork, and the designing, editing and creating the masterpiece itself. It takes many hours, but again and again, the results are stunning (even if I do say so myself). The work is described as ‘incredible’, ‘inspirational’ and ‘what an amazing opportunity for the children.’ and these things help drive my motivation. It’s when a 12 year old girl hands me a piece of her artwork that she wants included into the Kenilworth Book project. She explains that her passion is to be an illustrator. Its when a mother comes in with her two young sons who are so incredibly excited that they have done multiple pieces of art and have been late for school most days last week because they were working on the pictures (my apologies to the school). 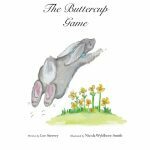 I’m continuously amazed by the enthusiasm and excitement that all children have when they realise that they could be part of a very special project; the creation of a real book. As another school project reaches its final phases of publication, I consider the journey that I went through in order to construct it. Harry Bishop and the Time Traveller was the result of the school instruction that they wanted to do something based on the history topics that each of the 147 children at the school had been learning. But it wasn’t. There was just one issue. The classes were each learning about different eras in history and there was relatively little in common between the eras (Tudor, Victorian and WWII) in which to weave a story. On the 1st day workshops with the children, it quickly became apparent to me that this could become a major stumbling block and I was concerned that the linkages would be too weak to weave the story. On the 2nd day workshop with the ‘focus group’, the children and I batted around ideas, brainstormed, acted out and asked why would Harry do that, what would he say, how would he feel and then suddenly everything fell into place. I will never underestimate how children are able to make linkages between seemingly unconnected events (how do you link Victorian Era with WWII in one sentence???) and by bouncing ideas around with them we inevitably come up with new thinking, new ways and new reasons. I am incredibly proud of and grateful for the children of Bishops Itchington Primary School for their enthusiasm, their friendliness and the huge smiles that I get whenever I walk into the school. This project was another big one, but my goodness the results are stunning. 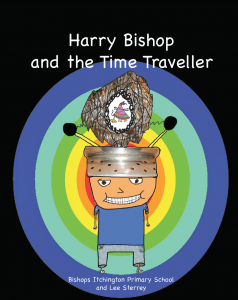 Harry Bishop and the Time Traveller will be available in early December 2016. With the initial launch of The Unique Unicorn with Sydenham Primary School, such is their passion for supporting multiple languages, that they asked me to provide a different version per language. This is certainly a school that knows what it wants and so I find myself getting up at 6am on weekends and working late into the evenings to produce different language versions of the story, working with volunteer translators. I don’t see this as a chore however. For me, it is about the learning experience. If I wasn’t doing this at 6am in the morning, I would probably be studying or researching some other creative idea that my brain had awoken me with in the middle of the night. I have found it fascinating and intriguing to translate the story into the languages of Romanian and French. 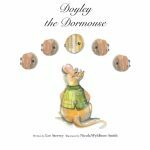 I find it a very rewarding and humbling experience to know that children may be able to get the story in their own language. As long as there is a demand for the translation of the story into a different language and a willing volunteer to help, I will get up at 6am on a Saturday to work on that version. I learned a lot about the process of working with a school to produce a complete unique masterpiece. One of the most humbling of experiences happened during the Sydenham Primary School book project. When finalising some of the characters, I asked an 11 year old whether she wanted to be an artist. Her response surprised me and made me realise the impact that I have had on so many young lives by being involved in this project. I was taken back by the determination in her voice. At that very moment, I realised that being a children’s author is so much more than being a writer. It is a responsibility. In the Sydenham Primary School project, I gave the power to the children to help them expand the boundaries of what is possible. I’m not talking about a ‘cookie-cutter’ rule book where everyone follows a book-making template. I’m talking about ‘real creation’ from the ground up and the best thing was, the children got it. I remember in particular, where we had very big gaps between the start, middle and end of the story. We discussed many ideas and in the end the children’s imagination made it possible. The school teachers, should be held in the highest regard, as they were determined and believed that the children would come up with the result and they sure did. The talented young artist brought my attention back to her, when she pointed out that (unlike me) she wants to also illustrate her books as well as being the author. I was delighted by her enthusiasm and have absolutely no doubt that she will realise her dreams. Bishops Itchington Primary School, Southam.